The past 4 days, the decks were closed at 6pm because we were in pirate area. The captain didn’t want to risk pirates seeing us so they keep the outer decks closed until 6am. 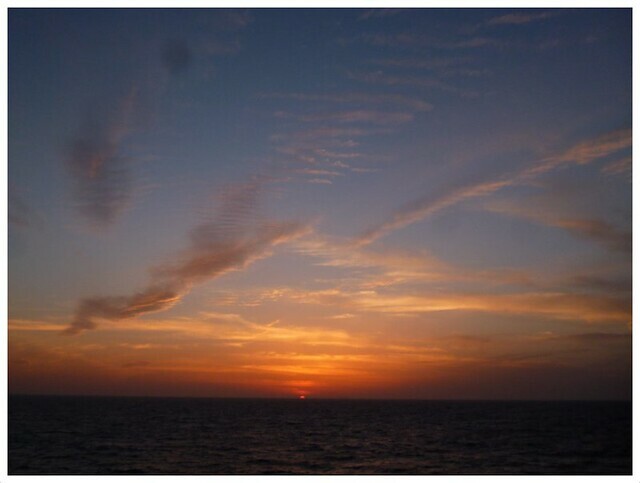 So it wasn’t until today, the 7th day at sea, that I managed to catch my first sunset. I also caught churning waves too. 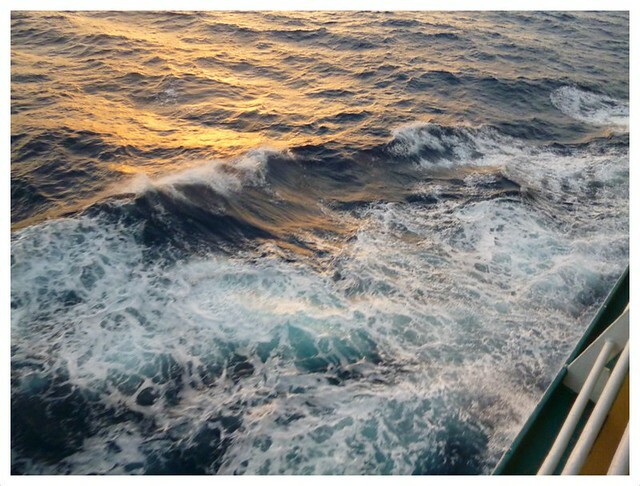 I love how the sea foams when the ship ploughs through it. The waves reminded me very much of Japanese Ukiyoe paintings.